Explore Perth's surroundings by going to Fremantle (Fremantle Prison, Western Australian Maritime Museum, & more) and Caversham Wildlife Park (in Whiteman). Dedicate the 11th (Sun) to wine at some of the top wineries in the area. On the 13th (Tue), give your taste buds a day to remember with a local gastronomic tour. 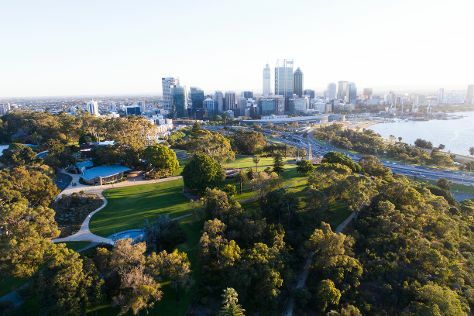 Next up on the itinerary: admire the natural beauty at Kings Park & Botanic Garden, explore the activities along Swan River, appreciate the history behind Kings Park War Memorial, and learn about wildlife with up-close encounters at Perth Zoo. To find more things to do, reviews, where to stay, and more tourist information, read Perth road trip app . If you are flying in from Malaysia, the closest major airport is Perth International Airport. Expect a daytime high around 22°C in August, and nighttime lows around 9°C. Wrap up your sightseeing on the 13th (Tue) early enough to travel back home.